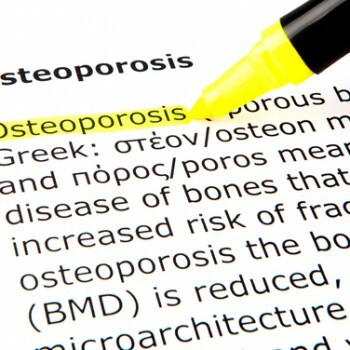 Osteoporosis and low bone density are common in Australia. The condition is generally under diagnosed and the problem is predicted to only get worse over the coming decade. It’s an important issue for both women and men. 74 million Australians over the age of 50 have osteoporosis or poor bone health. There is one fracture every 3.6 minutes in Australia (2013). By 2022, that figure is expected to rise to one fracture every 2.9 minutes. There are 20 000 hip fractures per year in Australia (increasing by 40% each decade). In women over 45 years of age, osteoporosis accounts for more days spent in hospital than diabetes, myocardial infarction (heart attack) and breast cancer. In white women, the lifetime risk of hip fracture is 1 in 6, compared with a 1 in 9 risk of a diagnosis of breast cancer. Hip fractures are invariably associated with chronic pain, reduced mobility, disability, and an increasing degree of dependence. A 50 year old women has a 2.8% risk of death related to hip fracture during her remaining lifetime, equivalent to her risk of death from breast cancer and 4 times higher than that from uterine cancer. Mortality in the year following a hip fracture is as high as 24%. Forty percent of survivors are unable to walk independently and 33% are totally dependent or in a nursing home in the year following a hip fracture. Osteoporosis and its associated fractures will cost Australia around $33.6 billion in the next 10 years. The biggest risk factors for osteoporosis are female gender and advancing age (in both sexes). Obviously there is nothing that can be done about these, but there are a number of important risk factors that can be managed or avoided to reduce the risk of osteoporosis. Stop smoking now. See your GP or contact Quitline for help. Safe alcohol consumption is considered to be no more than two standard drinks per day. Exercise maintains muscle strength, muscle mass, flexibility, mobility, balance and ease of movement . . . and all of these reduce the risk of falls. Appropriate activity involves a combination of endurance and strength training. Non-weight-bearing exercise (e.g. swimming, cycling) does not improve bone density. At least 1000mg in women 50yrs or younger, and men 70yrs or younger. 1300mg in women over 50yrs and men older than 70yrs. Dairy foods are the main dietary source of calcium, and dietary calcium is the best source. Milk contains about 1000mg/L, concentrated low-fat and skim milks contain about 1500mg/L. To achieve 1000-1300mg calcium intake per day three servings of dairy products are recommended. Soy milk has low calcium content unless it is calcium enriched. Calcium supplements should only be used if dietary intake is insufficient and should be implemented under the supervision of a medical practitioner. Up to one third of Australians are vitamin D deficient. Those at risk include people who are institutionalised or housebound, people who lack exposure to UV radiation from sunlight (due to lifestyle factors, chronic illness, covering clothing worn for cultural or religious reasons), those with very dark skin, and those who are overweight. For those at risk, adequate vitamin D levels may be maintained by increasing exposure to sunlight. A moderately fair-skinned person may benefit from a walk outdoors with bare arms mid-morning or mid-afternoon for 6-7 minutes in summer, or 7-40 mins at noon in winter. Always be sun smart!